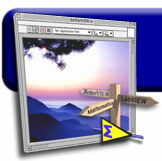 At BetterVIEW, our goal is to empower and enable LabVIEW developers and end-users. Through a combination of innovative, time-saving toolkits, and high-level consulting expertise, we exist to make you more effective and more productive. We realize that time is our clients' most valuable resource, and all of our efforts are targeted toward saving you both time and money. Please take a few moments to browse through our web site. And if you have any questions or comments, don't hesitate to drop us a line.